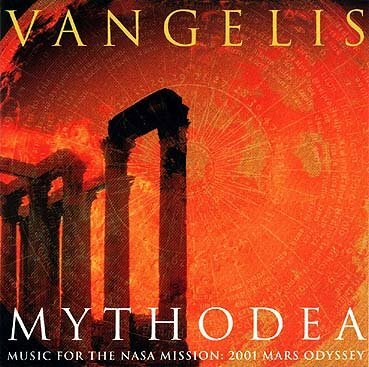 It seemed like an eternity since the last Vangelis album! 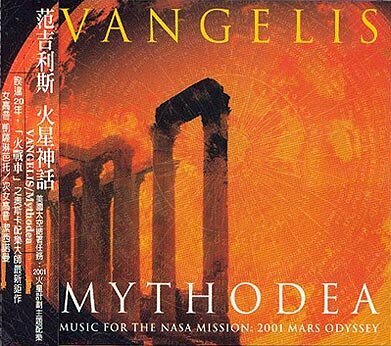 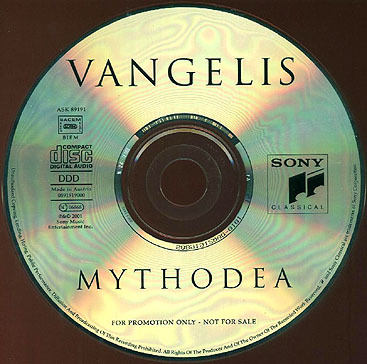 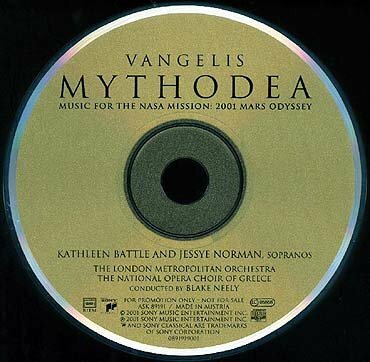 Vangelis arrived at Sony Classical during 2001, and released Mythodea in September 2001. 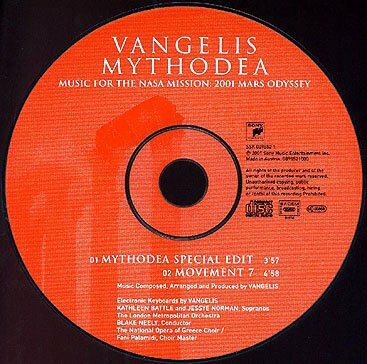 Vangelis unveiled his latest work in concert on June 28, 2001, a rare event. 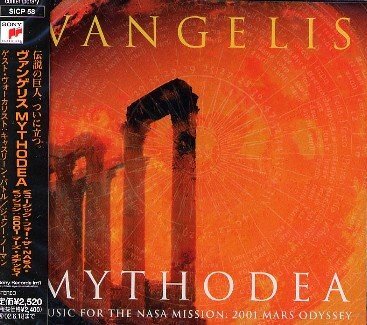 To those who were able to go, I am equally happy for you and jealous! 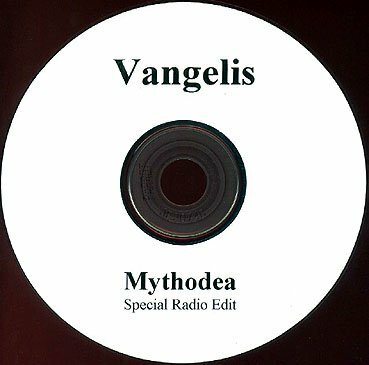 Mythodea is actually not brand new. 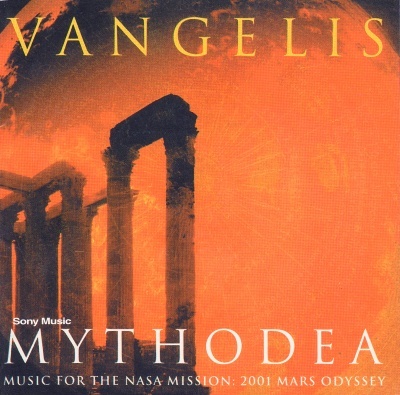 Vangelis first performed this during another concert in 1993. 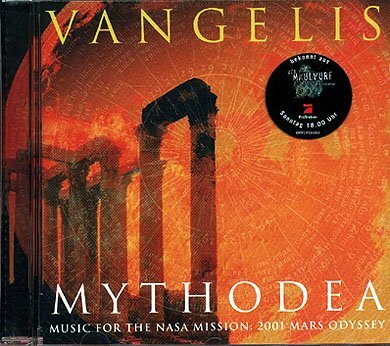 This version, however, is not identical. 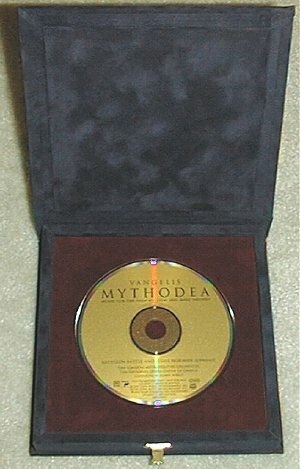 There are several promotional items for this new release, including an incredible blue velvet box item. 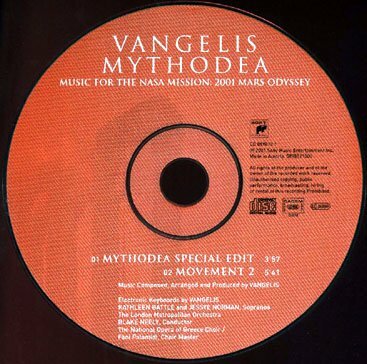 Sony also quietly released a CD single for Movement 1 in Europe. 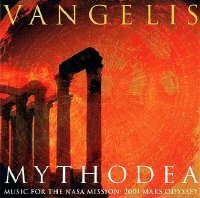 Even as of this writing, there is recent activity for Mythodea, with the album just recently released on CD in Brazil. 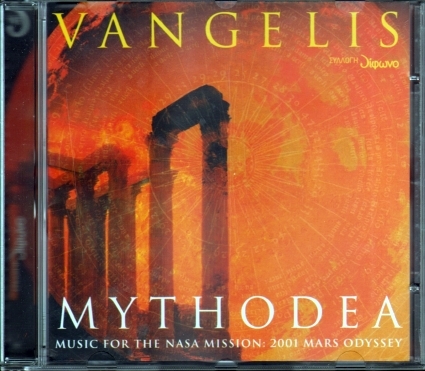 Cd is made in Austria, booklet printed in Holland, small sticker on case that says "Made in Holland"